Can we get to 500 pringles (followers) before Easter? Join my MAP please! Everyone who does is entered in my raffle! 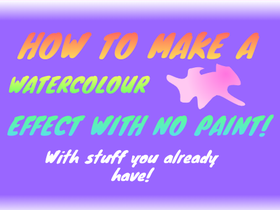 How to Make a Watercolour Affect!